$20 for $40 Worth of Award-Winning Kids' Toys from Wikki Stix! Head over to Plum District to score $40 worth of Wikki Stix for only $20! Even better, if you haven't used the code visa10, use it to get the deal for just $18. 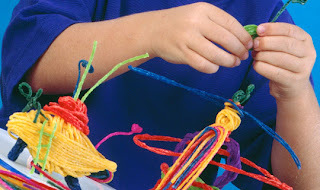 Wikki Stix One-of-a-Kind Creatables are the award-winning original waxed yarn creativity toy, made in the USA. Wikki Stix have won several Parents’ Choice Awards, as well as the iparentingmedia.com award, and awards from Dr. Toy. They have also won the top two toy awards in the United Kingdom.